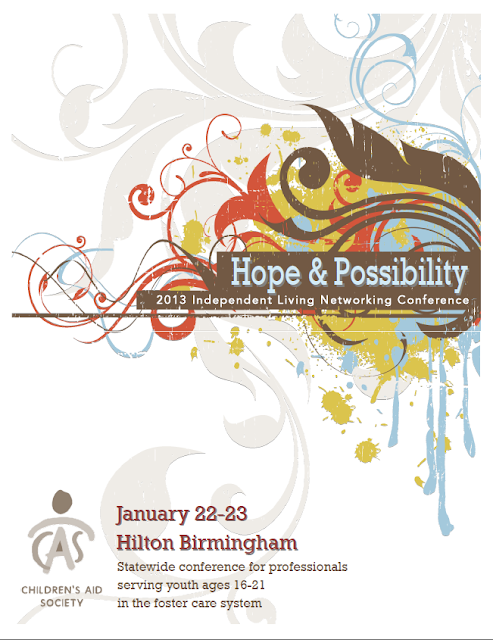 Join us for our statewide Independent Living staff networking conference. The purpose of the conference is to increase the knowledge of the Independent Living Program for DHR staff and other professionals working the ILP Residential programs. One hundred slots will be designated for DHR county and state office staff, provided at no charge to DHR staff. Other professionals in the state who work with IL youth, such as residential providers, IL contract providers, and other private professionals will also be able to attend for a nominal fee. For more information about the Networking Conference, please contact Nikki Freeman at 205-943-5356 or nfreeman@childrensaid.org.